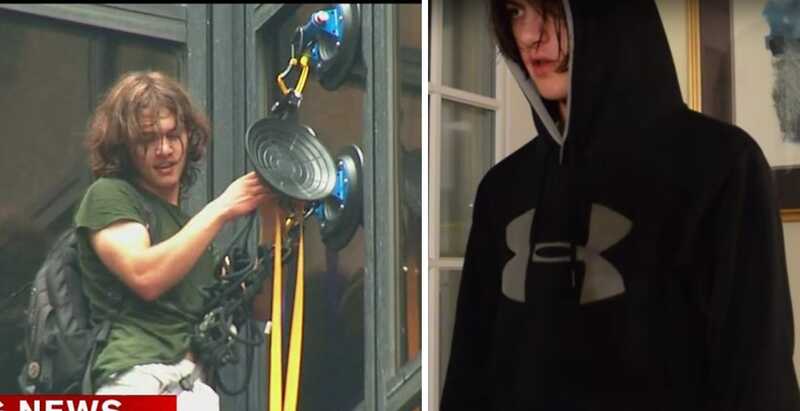 A man equipped with suction cups was apprehended after attempting to scale Trump Tower in New York on Wednesday afternoon. A video showing a young man explaining why he climbed Trump Tower was sent to Business Insider in an email tip shortly after we published an article on the climber. The video was posted by YouTube user Leven Thumps on August 9. It had more than 12,000 views on Wednesday evening. In the video, the man said that he was an "independent researcher" who was climbing Trump Tower to "seek an audience with Mr. Trump." A man scales the side of Trump Tower in midtown Manhattan, drawing hundreds of onlookers and prompting a significant police response. 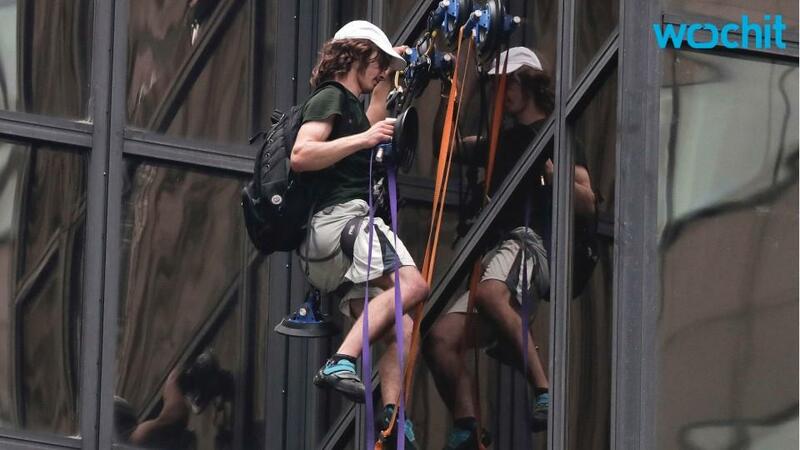 Social-media users have called the suction-cup climber "Steve from Virginia," but it's not immediately clear whether the man pictured in the YouTube video is the man climbing Trump Tower. The man ended the video encouraging viewers to "get out and vote for Trump." The New York Daily News is reporting that the man climbing Trump Tower is Stephen Rogata, from Virginia, citing police sources.